This meal will be Beef on a bun and Pulled Pork on a bun with salads. 80’s theme with fun activities and prizes - make sure to dress up! Starts after competition. Dinner will be pasta dishes, caesar salad and garlic toast. Pre-paid & pre-ordered entry only . Meeting starts at 7:30pm. Athlete social will be during the AGM. 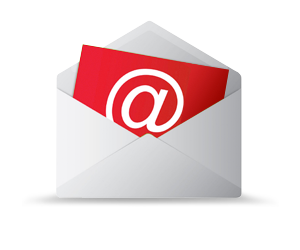 NOTES: ﻿Please ensure Clubs RSVP for both Friday and Saturday dinners by March 22. Thank you. Rope Skipping Canada Awards - Apply by April 15! 1. The Rope Skipping Canada (RSC) Post-Secondary Scholarship ($1,000 ) is awarded annually at the RSC National Championships. Entering full-time post-secondary education at a College or University in the proceeding school year beginning in September of the same year following the National Championships. The successful applicant will receive $1000.00 towards tuition reimbursement. Click for application package. 2. 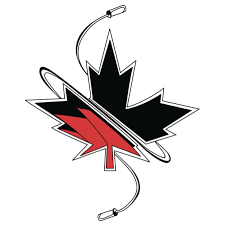 The Rope Skipping Canada (RSC) Coach Achievement Award is awarded annually at the RSC National Championships. Big News! Some of you have probably already noticed, but Rope Skipping Alberta has updated its logo color and font. 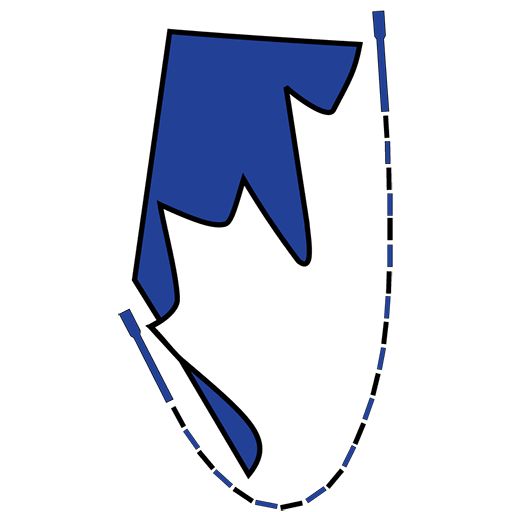 We wanted our logo to reflect our province and therefore wanted to match the official Alberta blue. 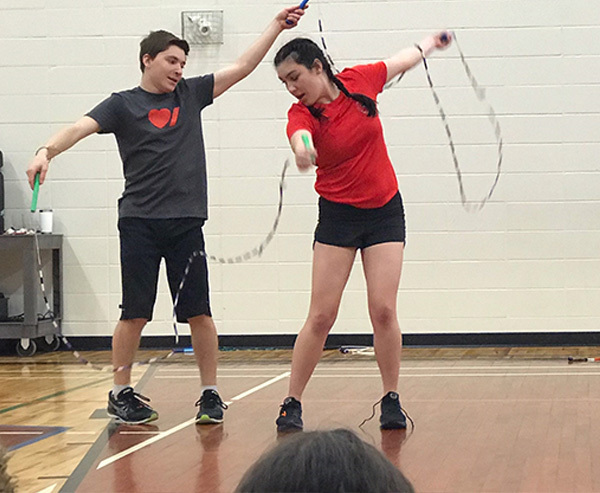 Recently, two rec coaches and athletes from Skip Time , Chloe McCallum and Rowan Reef, spent the day volunteering at the Niitsitapi Learning Centre with over 170 indigenous students teaching skipping for Jump Rope For Heart. Both Chloe and Rowan are World Jump Rope Ambassadors and they did skipping and Skip Time proud as fantastic representatives and role models for our sport. Thank you for giving up so much of your time and energy! 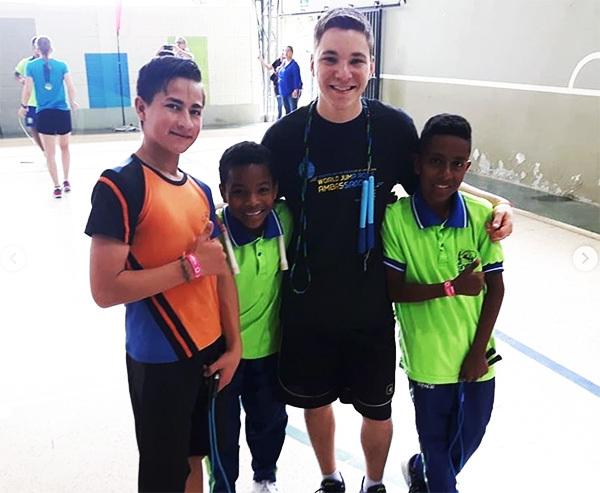 In November of 2018, Rowan also had the opportunity to join a group of American World Jump Rope Ambassadors in Medellin, Colombia spreading the love and passion for the sport to children all over the South American city. Rowan learned invaluable coaching and performance skills from these world class athletes (as well as some Spanish!) which strengthens his abilities as a rec coach for Skip Time and as one of our workshop coaches at Alberta competitions. 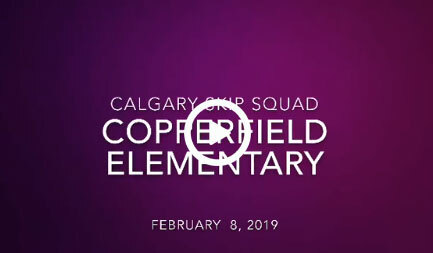 The Calgary Skip Squad had a small group of jumpers put on an amazing demo for Copperfield Elementary School. After the demo they spent some time teaching the students some basic jump rope skills that coincided with what the students were learning in PE class. Great job Skip Squad! Rope Skipping Alberta has approved the selection criteria to qualify to compete at the 2019 Rope Skipping Canada National Championships in Olds! All athletes, coaches, and parents are encouraged to familiarize themselves with this criteria. The criteria have changed from previous years. Click here to access the 2019 Team Alberta Selection Criteria . 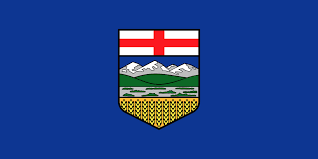 Please direct any questions to ropeskippingalberta.board@gmail.com . 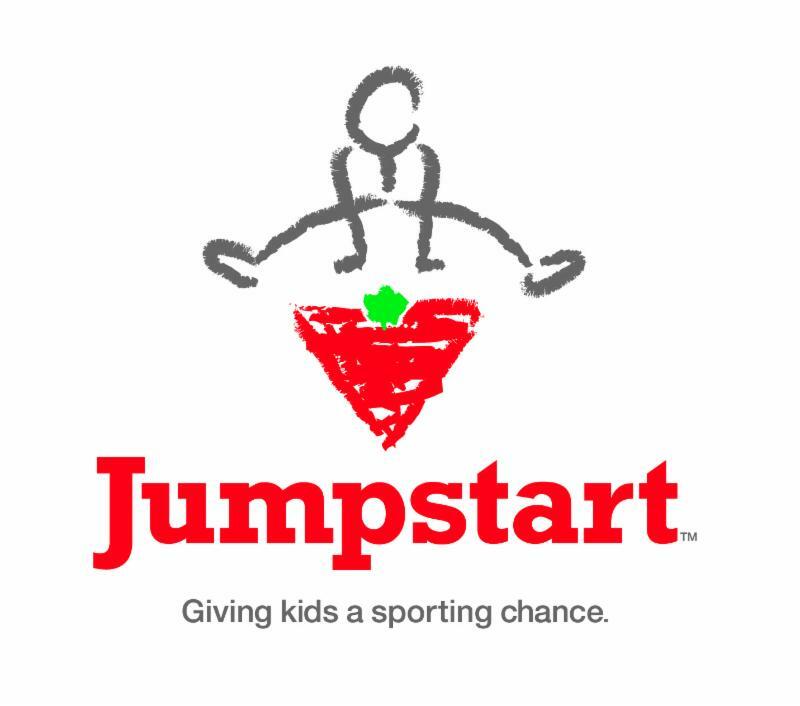 Rope Skipping Canada has updated its Club Coaching Requirements for the 2019/20 season - specifically coaches under 18 years of age. Please make you read the requirements to ensure your clubs are in compliance. 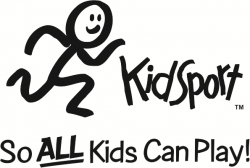 Also note that Rope Skipping Canada requires a minimum, one coach must be present during all RSC sanctioned Rope Skipping activities, who holds a valid Standard First Aid and CPR ‘C’ certification. Read here. 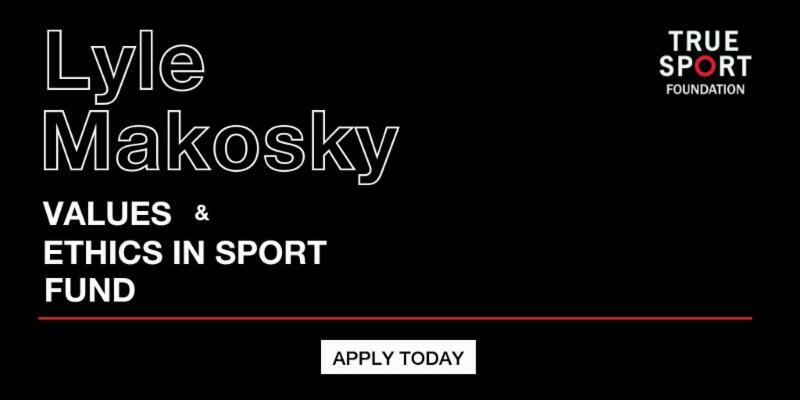 The True Sport Foundation is calling for applications to the Lyle Makosky Values and Ethics in Sport Fund – a fund to assist the study of values and ethics challenges affecting non-professional Canadian sport. Sport practitioners active/working in sport as an official, administrator or high-performance coach. 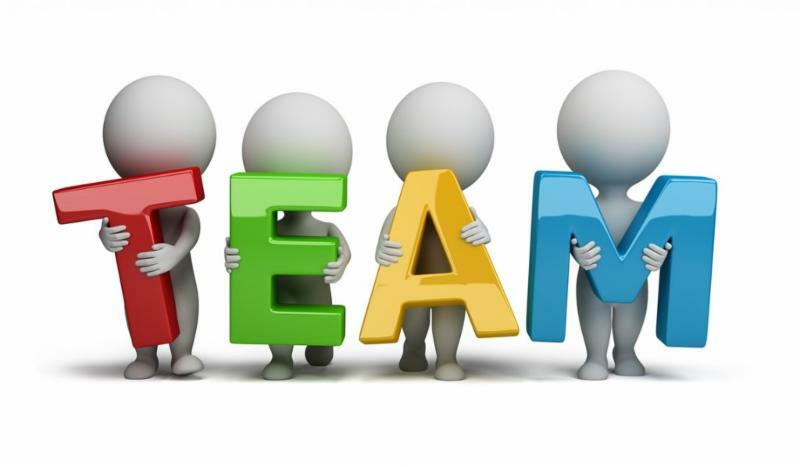 Educators working in a sport, sports sciences, sport management/administration or other applicable discipline. For more information, including the application criteria and requirements, please visit the True Sport Website . Please also review and provide updated description of your team.